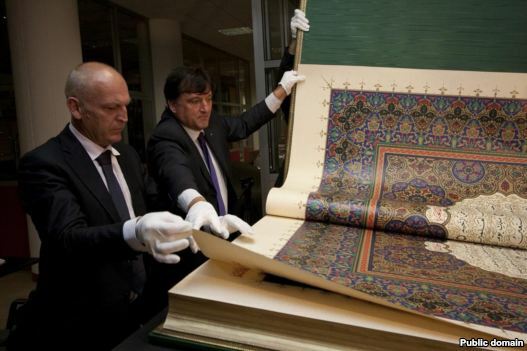 A Koran billed as the world's largest is to be presented to the leader of the Russian republic of Tatarstan on November 17, RFE/RL's Tatar-Bashkir Service reports. Tatarstan President Rustam Minnikhanov will be presented with the Koran at a special ceremony in Kazan's Qol Sharif mosque. The book was printed in Italy on the order of Resurrection, a Tatarstan state fund involved in the preservation and revival of Tatar cultural heritage. The book weighs 800 kilograms and is 1.5 meters by 2 meters in size.